Whether your organization is just beginning to adopt the cloud or has already achieved a cloud-first approach, there are Citrix Cloud services that meet you where you are in your journey. Deliver everything your employees need to get work done. Easily integrate and manage applications, desktops, data, and networks from one console.Get the access you need with the trust and security of always up-to-date software and catch threats before they happen using an analytics based approach to security. Manage your apps, desktops, content, devices and network using a single management plane. Simple: Never worry about upgrade cycles again with evergreen updates and reduced infrastructure needs. Flexible: Choice to deploy on any cloud or virtual infrastructure – or a hybrid of both. Whether your organization is just beginning to adopt the cloud or has already achieved a cloud-first approach, there are Citrix Cloud services that meet you where you are in your journey. 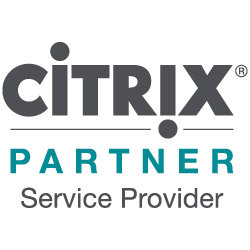 Citrix Cloud services are available to help you extend existing on-premises Citrix software deployments, to help create hybrid workspace services, and to provide simple approaches to deploying cloud-native technology. Citrix Partnership with Microsoft continues to grow with multiple VDI deployment options for Citrix solutions on Microsoft Azure—including virtual apps, desktops, data and networking. Customers can provision and deliver workloads on Microsoft Azure cloud platform or choose to deploy VDI with Citrix Cloud services on Microsoft Azure. Citrix and Amazon have been collaborating since the beginning of cloud – first around the Xen hypervisor and then on interoperability between Citrix workloads on Amazon Web Services (AWS) infrastructure. Today, many Citrix Cloud customers look to AWS for a nimble and cost effective cloud services platform.